It's been a good day today but we're sure glad we reserved a spot in an RV Park in Moab. They're trying to be Phoenix, but falling short. It's only 101 degrees here, but having power for the air conditioner sure is nice! We covered just over 300 miles today, all country that we've seen many times before. There was a west wind (tailwind!) blowing which filled the skies in Monument Valley with smog from the coal burning power plant in Page. 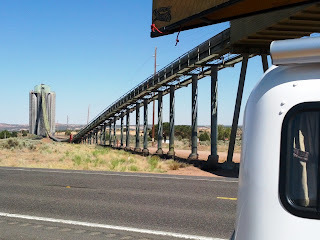 The conveyor & silos handle the coal from the Black Mesa mine. The coal is transferred to an electric train to travel to Page to the power plant. This facility was one of those "featured" in Edward Abbey's "The Monkey Wrench Gang." 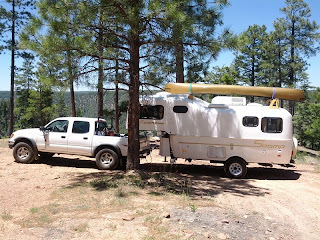 Had a nice drive “up the hill” to a boondocking site north of Flagstaff today. It was about 112 at the house when we left but only 84 when we got here. We were due west of Sunset Crater, and closer to the highway than typical but past the “Forest Camping 14 days” sign. We had our biggest dose of freeway driving of the trip today. The vast majority of the rest of the trip will be two lane. Just shy of 14 mpg for the 190 miles today which isn’t bad considering the 5700 ft altitude gain. We’re expecting a 50 degree night tonight. Tomorrow will be just over 300 miles including Highway 163 through Monument Valley unless we decide to go around just for a change of pace. No services (duh) and occasionally 1 bar of 1x on Verizon here. I suspect an antenna and amplifier would do the trick. A pretty big circle, it seems. Google says it's 3550 miles from where we are to where we're going and back again. As to where we're going, that's influenced by all sorts of things. We're going to do the route counter-clockwise so that it works out with our niece's wedding which is in some ways the biggest (but not the initial) influence. If all goes well, it will be the first time in years that Mom and all my siblings have been in the same place at the same time. I'm looking forward to meeting the parents of the groom. Ellen & Pat recently moved to Ellensburg, Washington and are in the midst of fixing up an old farmhouse and the farm that goes with it. Ellen writes a wonderful blog about her transition from "city girl to country girl ... and God's great sense of humor..." Highly recommended! Before we get there, we hope to enjoy the mountain vistas in Grand Teton and the wonders and wildlife in Yellowstone. 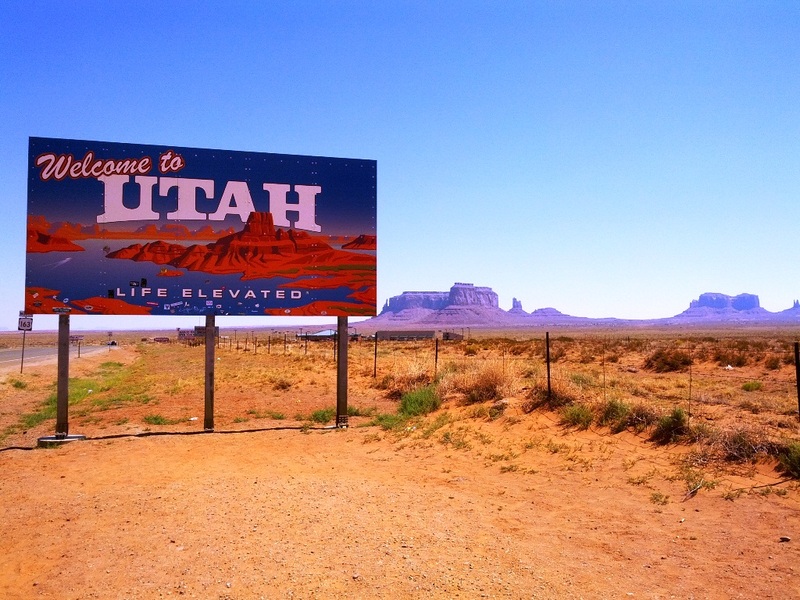 We'll pick up our grandson and spend a few days in Glacier and a day in Idaho before the wedding, followed by visits to Mom's place, BJ's hiking friend's place in Oregon, and ghost towns in California. Twenty-four nights with the longest travel days being just over 300 miles. It's a mixture of boondocking, National and State parks, Forest Service campgrounds, and commercial RV resorts. We're looking forward to power for the air conditioner at the lower elevations. Some of the places are going to be much more crowded than I'd like, but that's what you get when you visit popular National Parks in peak season. Because of the schedule, we're leveraging reservations as much as possible. We'll be moving faster than I'd like, but we need to save a week of vacation for our almost annual Green River float trip in late September. We're all hooked up and ready to go, other than a shorter than normal day at the office tomorrow before we head out of town. We'll try to do updates regularly assuming we can find wi-fi. While we're watching the calendar, waiting to leave on our three week loop trip later this week, we're also looking forward to an Alaska trip next year. In the process of researching info about the Dalton highway to Prudhoe Bay, I ran across a blog that I've been enjoying following ever since. Ann & Jerry have a 27' Lazy Daze motor home that they purchased new in 2010. They crossed the border northbound on May 6, 2012, and left Fairbanks for Prudhoe Bay on May 29th. Yesterday they were in Kenai. It's interesting reading blogs from others - hearing about what they've discovered. towards getting our act together for retirement, or as BJ calls it – sabbatical. For a number of years we’ve used a desktop computer for personal stuff, and the college provided a laptop for business use. Since we knew we were going to need a personal laptop, I’ve been watching for the right deal. Sure wasn’t expecting that today would be the day, but stopped by a local store today just to see what they had in stock. Turns out they had a 40% off sale on a machine that would do very nicely so I’ve spend most of the day getting it configured and getting some software installed. As usual it will take a while to get it all sorted out, but it’s a step in the right direction! I did pick up hardware at the local RV Supply for yet another upgrade on the Scamp. A set of Snaps pins for the landing gear means cleaner hands when adjusting the landing gear legs. 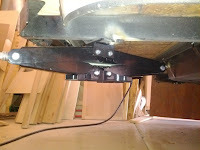 Since the trailer is stored in the garage on jack stands so there isn’t pressure on the dollies, it took longer to open the package than it did to install the Snap pins. Now that’s a phrase I heard a lot growing up! I’ve always wondered why Scamp uses the stabilizers that they install on the Scamp 19. I can see how they would work well on the much lower 13’ and 16’ Scamps, but they’re too short for the 19, especially if it has the factory installed lift option. The very first thing I built for the trailer was a stack of crude 3” high boxes. Each side of the trailer needed 2 of these to make the original stabilizers work. 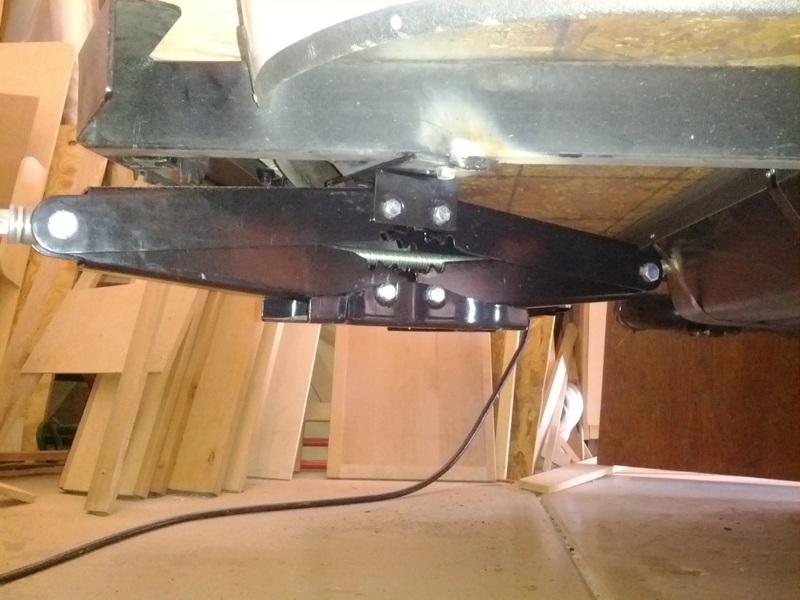 I got tired of the amount of space the cribbing took up in our gear box and finally installed 24” scissor style stabilizers at the back of the trailer a few weeks ago. They’re 6” longer than the original stabilizers, reducing the amount of cribbing material needed. With them set at an angle to the trailer, they’re more stable as well. With the lift on the trailer, I don’t think I’ll need to worry about hitting them in dips - we’re not four-wheeling! I think we’re all caught up on the mods for now. After writing the previous Celebrating Dad post, I was putting away the photos when I started looking at some of the other old pictures. Trucks were always a part of Dad's business, be it farming, agricultural trucking, or moving household goods. 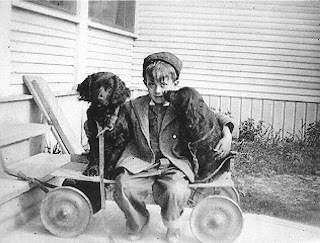 Hidden in the background of one of those pictures was my introduction to compact recreational vehicles. Dad built the canopy on his 1954 International half ton, long bed pickup from plywood with a layer of fiberglass for weather proofing. While we owned a military surplus wall tent, and I faintly remember him setting it up once, I don't recall us ever camping in a tent. I do remember, however, camping in the pickup. 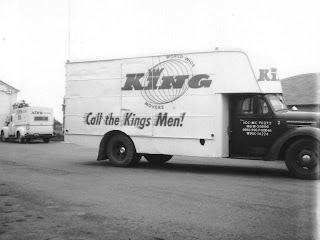 Dad set it up with boards across the truck at the top of the bed rails creating a 4' x 6' shelf where three of us would sleep when we weren't fussing about who poked whom. There was an additional shelf at the front of the canopy above the windows where my youngest brother would sleep. Mom & Dad slept on the bottom between the wheel wells. 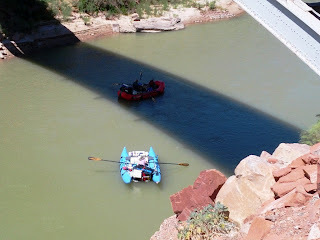 I don't remember how we got to where we camped - must have been in the back of the pickup. I only remember one or two trips in the pickup - something tells me it was pretty high stress for parents who thought a vacation suggested a chance to get some extra sleep. Amazing what they would do to make sure we were introduced to camping and outdoor skills. In honor of Father's Day and my Dad, here's some of the other early Dad & truck photos. Dad has been gone now for over 25 years but he still influences my life. I know it's not Father's Day yet, but it seems like it's the right time to post this. 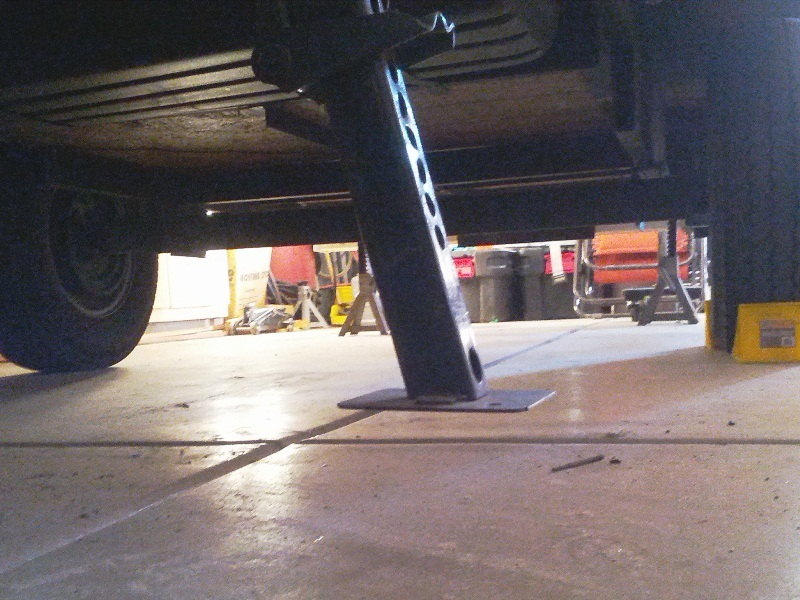 The other day, I was welding a set of scissor jack stabilizers on the trailer. I don't weld often - actually, hardly ever - but every time I drag out the helmet and rod and chipping hammer, and plug in the massive circa WWII GE welder, I think of Dad. 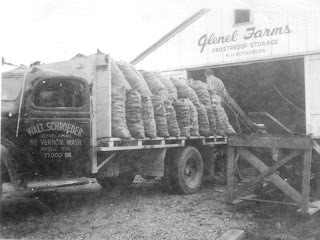 He farmed until after I started grade school and every winter there would be a project in the shop. 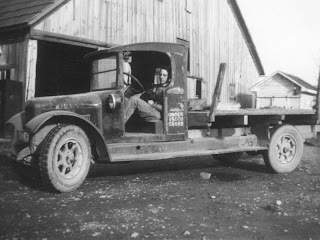 I suppose I was five the winter that he built a "lowboy" trailer to haul a bulldozer for a friend. 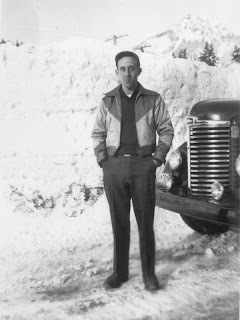 I loved to put on my coveralls (just like his) and go out to chip the slag off his welds. I can't weld nearly as good as he did, but what I know, he taught me. It's wasn't just welding. 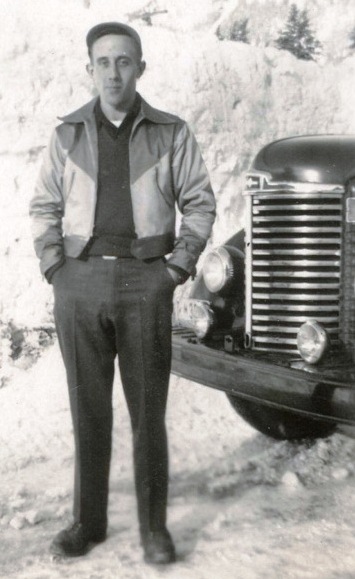 Over the years he taught me to work hard and to treat employees and customers with respect. I learned that you could do pretty much anything if you spent some time figuring it out before diving in. I learned service was more important than dollars. I learned that integrity was priceless. I learned God does provide. I've had the opportunity to do a lot of things since he passed away. 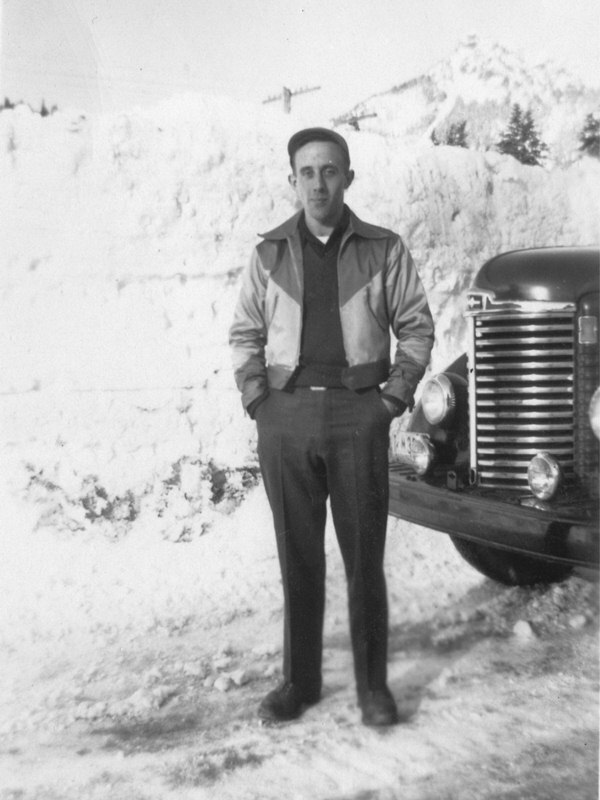 Things that he never had the need or opportunity to do, but I know he would have looked over my shoulder and asked why I was doing it the way I was, or commenting about how it turned out. 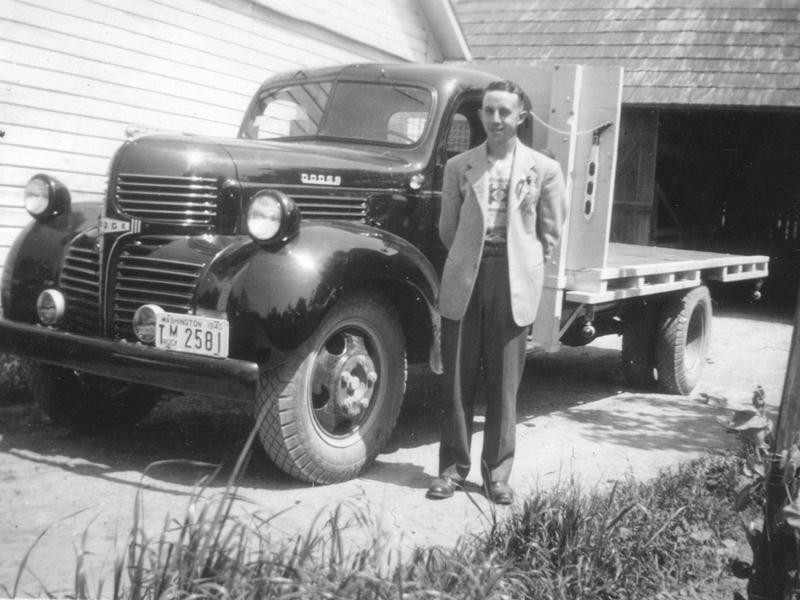 I think he'd be pretty impressed with the college campus, or the wood strip boats, or the trailer mods, but I know all of these were possible because he taught me. Not Sure What to Call It! 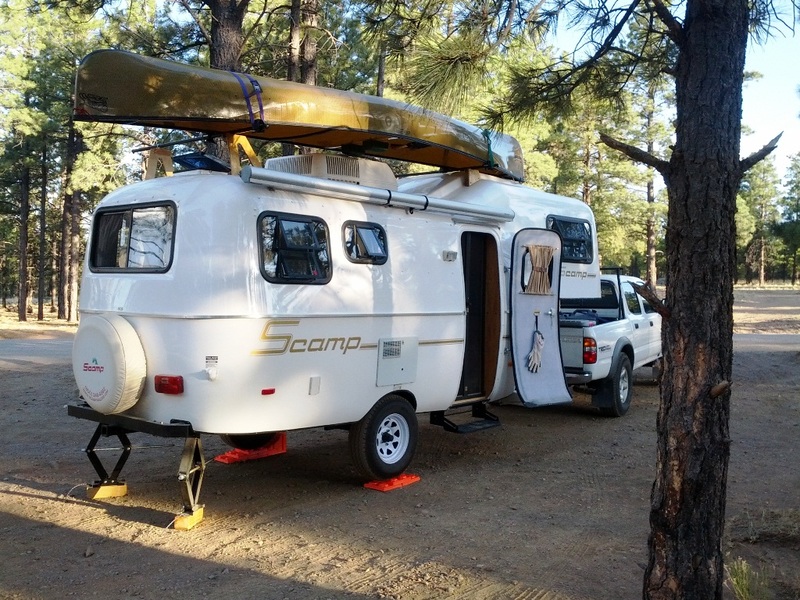 Everything about a Scamp, even the "big" 19 foot version, is compact. 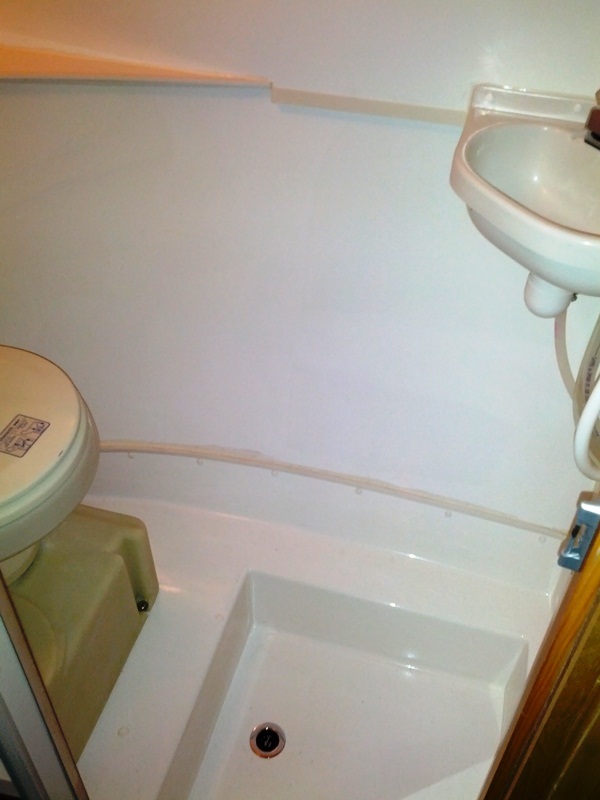 The bathroom is a "wet" bath combining shower, sink, and toilet in one small space. 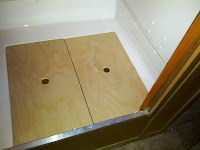 The shower functionality requires a small "tub" formed in the fiberglas floor. The "tub" creates gymnastic challenges to use the toilet. Some people have fabricated a wood grate to create a flat floor, giving up headroom for the flat floor. Since we very rarely use the shower, and since our young grandson is going to join us for a few days in Montana and Idaho, BJ asked me to made something to create a flat floor. Of course, it's not just that simple. By creating a flat floor, I now have to crouch down to use the mirror to shave. Given the drain functionality of the "tub", none of the sides are of equal height, and the walls of the "tub" are tapered slightly as well. 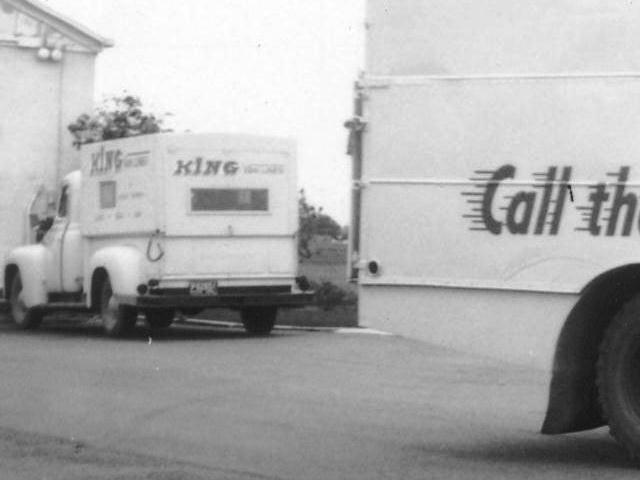 Since the body of the trailer is egg shaped, the "tub" isn't square, either. Close, but not exact. In order to use some of the space for storage and still be able to stand in the "tub" to see the mirror on the door, I decided to built two bottomless "box" structures. 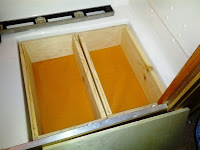 The floor of the tub is protected by a piece of yoga mat, and then two box structures were built. They're not tapered, but are radiused on the bottom edges to match the radius in the bottom of the tub. They're topped by 1/2" baltic birch lids that are keyed to the boxes with cleats on the bottom side of the lids. Two coats of spar varnish finished them up and then we'll hide it all under a rug. I'm not sure if this mod is going to be a keeper or not. 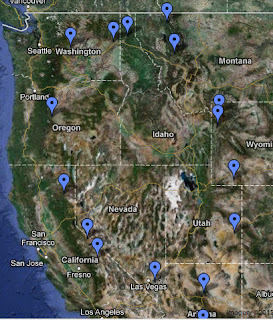 By the end of our northwest trek, the answer should be clear. Meanwhile, I still don't know what to call it! John, at Toyauto in Mesa, tried to save me some money, but I really didn't like the transmission temps I was observing last weekend on our trip to the rim. The last mile or two of each long climb were warmer than I wanted to see. Water temp was managed well, but the transmission temp would climb uncomfortably high. Based on some input from people that use their truck much harder than I use this one, I ordered a B&M cooler and got it installed today. Don't have any data with the trailer, but from what I'm seeing driving around town, we should be seeing the 25 degree drop that others have experienced. The transmission will thank me! John had me in and out in 90 minutes and included me in decisions about where to mount the cooler, how to route the lines, etc. I'll be back! Update: The cooler was installed Friday morning. A handwritten note thanking me for my business arrived in the mail on Saturday! Wow! We're really looking forward to the trip north this summer. The list of stuff to fix is getting shorter and the list of stuff to pack is getting longer. Less than three weeks to go! We spotted a place off Forest Road 237 last year that has been calling to me ever since. It’s up on top of the rim at about 7500 ft, east of Willow Springs Lake with a view out over Chevelon Canyon. It was Labor Day weekend when we were here last and there were quite a few ATV running around, but now, on a non-holiday weekend, we’ve only heard a couple vehicles go by. Our camp is down over the edge a bit and can’t been seen from the road. 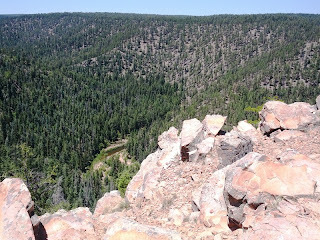 It has a variety of shady spots to sit and listen to the breezes coming up out of the canyon, to read on the Kindle, and to enjoy occasional naps. Saturday morning we went out of a walk continuing towards the end of the road, spotting a couple more “rim view” sites and occasionally getting a weak 3G Verizon signal. I suspect we would have a decent signal where we’re camped if we were using an external antenna and a signal booster. It was warmer than I’d hoped with temps into the low nineties in the afternoon but that’s a whole lot better than the 100 and teens forecast for the Phoenix area! It cools off nicely after sunset and dropped to mid-50’s at sunrise. We’re located 4.7 miles from Highway 260 at N34 23 13.2 W110 51 41.3. The road hasn’t been graded this year and is relatively rough in places (we only had one drawer on the floor) but worth the drive. 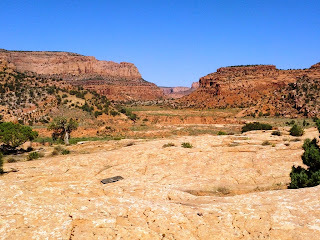 In addition to the rim view sites, there are lots of very nice shady places, some that could easily support a family reunion or other large group. 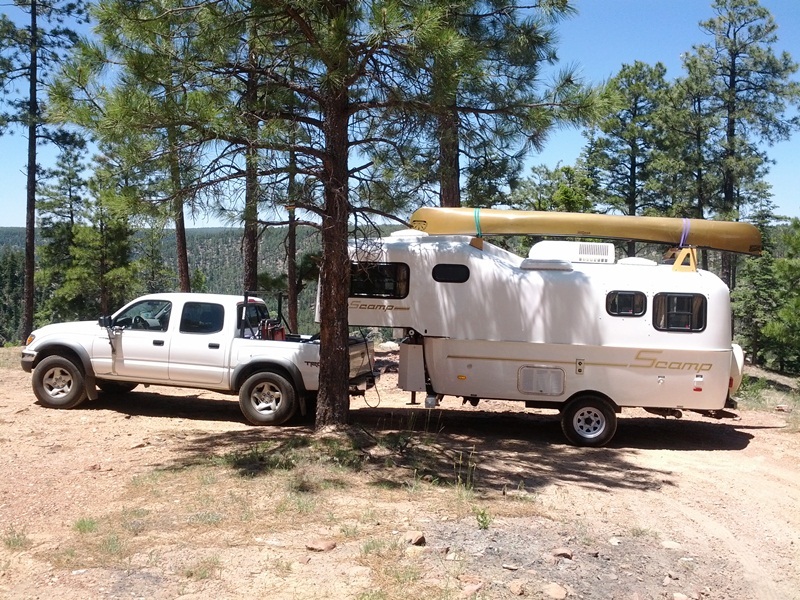 For folks that must have their hook-ups, the Forest Service Canyon Point campground is located just east of the FR237 turnoff on Arizona Highway 260. They have some EW sites and a dump station. The place is full of Phoenicians all summer long. The trip was a good test of transmission temperatures. We saw temps higher than I’d like on long pulls, so Toyauto will be adding that cooler before we head for the northwest at the end of the month. Gotta fix a leaky gravity water fill port as well. I decided that I wanted to add a heavy duty transmission oil cooler to the truck before our relatively long summer trip since they were a default part of the “tow package” if I’d bought the truck with a tow package when it was new. I recently added a ScanGauge II to the truck, specifically so that I could watch the transmission temperature, but I haven’t had a chance to go camping since I got it installed. Last week I had the truck in the shop for some other work. The shop that I’ve used for over 10 years is very trustworthy but won’t touch mods or most after-market parts. When I asked them to install an after-market cooler, they refused without any explanation other than it was “after-market”. That forced me to go shopping for a new shop or spend four times as much for the Toyota factory part. Some homework online led to a diamond in the rough. If you drive by the place, it’s really rough! In talking with the owner, he asked why I wanted a cooler installed. I explained that it seemed like a good idea. He suggested we go camping on the rim this weekend so we’ll have some real-life temperatures to justify the expense. 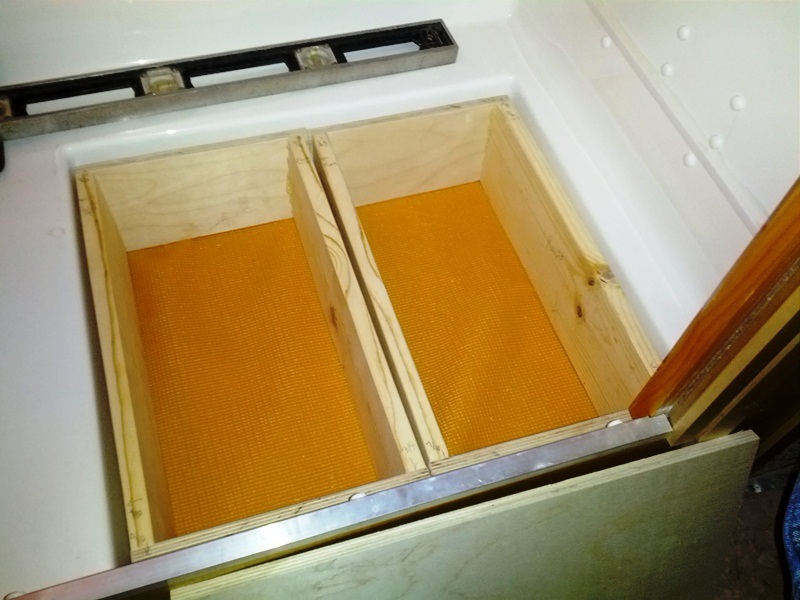 His belief is that the existing cooler will be more than adequate so why spend the money. When was the last time you had a mechanic take time out of his day to talk you out of spending money with him? Toyauto in East Mesa. Three points in his favor! 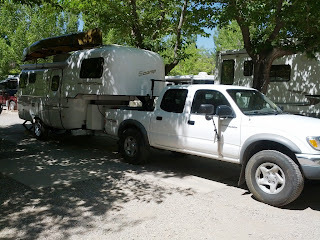 Thanks to his suggestion, the trailer is hooked up, the canoe is loaded, and we’re heading up to the rim for a boondocking weekend, keeping an eye on the transmission temperature as we go.